A man had to be freed after two vehicles collided on a Nether Heage road. 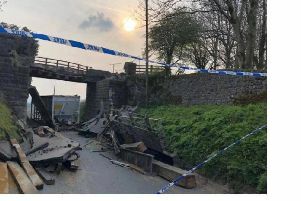 The incident happened just after 4pm on Spanker Lane on June 10, and Derbyshire Fire and Rescue Service crews from Crich and Alfreton were called to free the person and make the scene safe. The firefighters also helped the ambulance crew to administer first aid and a man was taken to hospital. A spokesman for Derbyshire police said his injuries were not life-threatening. In March 2011, there were plans to cut the speed limit to 40mph from 60mph on parts of Spanker Lane, as well as on Crich Lane, Belper.